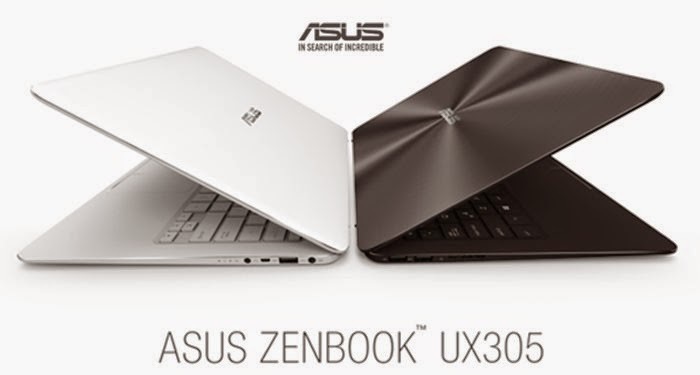 Asus will be releasing the Zenbook UX305, a thin sleek ultrabook powered by the next-gen Intel Broadwell processor (Intel Core M). This is a 13.3-inch notebook coming with a FHD display resolution and another version with a 3K resolution (3200 x 1800 pixels). The screen is an IPS panel outfitted with Corning Gorilla Glass 3 for a layer of protection. It comes with the usual ports, USB 3.0, HDMI, audio, card reader.